A new proposal recently floated by the Center on Budget & Policy Priorities would tackle the single most pressing housing problem that we encounter at Avesta: a profound lack of affordable homes for extremely low income people. In January of 2017, 369 households (representing 668 people) came to Avesta seeking an affordable home. Their average annual income was $14,400 and only 25% of them had any kind of rental assistance in hand. Households headed by a senior (age 55+) represented the largest share of these applicants. In that same month, because turnover is so low and the resources available to build new, affordable apartments are so scarce, we were only able to provide housing to 35 households. And the bottom line? Without the benefit of rental assistance, the best that extremely low income households could get is their name on a waiting list. Of the 35 families we were able to house in January, 27 had rental assistance and the other 8 had incomes averaging nearly twice that of our typical applicants. In other words, the typical household that comes to us for help in securing an affordable home is almost assuredly not going to get it unless they have the benefit of rental assistance. And only 25% of them do. It is precisely this problem that the CBPP proposal would address. A new “project-based” renters’ tax credit could help a substantial number of the lowest-income renters — including low-wage workers, poor seniors, and people with disabilities — afford decent, stable housing. It would help these families afford a home by providing states with credits that they would allocate to rental housing owners and developers for use in particular developments. Families living in renters’ credit units would pay no more than the accepted federal standard of affordability for rent and utilities – 30% of their income – and the rental unit’s owner would receive a federal tax credit in return for reducing the rent to that level. If funded at a $6 billion level nationally, the proposal would ensure that 3,200 highly vulnerable Maine households – the ones who right now can only put their name on a list and wait – have the basic, safe affordable housing they need. Such an approach would also help to address a jolting imbalance in current federal housing expenditures, which overwhelmingly benefit high-income homeowners over the low-income renters who have the greatest needs. Avesta looks forward to working with our partners across the state and the country in helping to give this proposal the public awareness that it – and those we desperately want to help but currently cannot – deserves. Sitting in Laurie’s new apartment with her and two of her three sisters, it’s hard to believe that this photograph of her was from just last month. In this picture, Laurie Rennae is sitting on the front steps of the small apartment building she had been staying in, waiting for her sisters to pick her up. Her face shows the weariness of having spent too much time in an unsafe and overpriced apartment. But there’s a glimmer of hope in there too. It’s moving day. Laurie was moving into a brand new affordable senior apartment building, Ridgewood at Village Square in Gorham, Maine. In fact, Ridgewood was so new that Laurie was the first resident there and lived in the 24-unit building all by herself for two weeks! 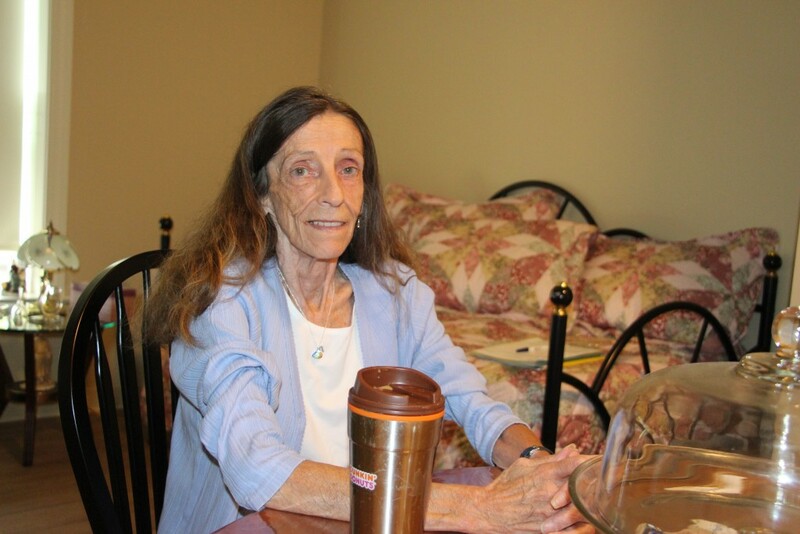 Like so many other seniors in Maine, Laurie struggled to find an affordable, safe, quality home. She was bouncing around between friends’ and families’ houses and substandard apartments, but had hit rock bottom in her most recent apartment. This overpriced, second-floor walk-up apartment posed serious mobility issues, and the lack of insulation and heat created dangerous living conditions for Laurie, who suffers from COPD and uses an oxygen tank to assist with her breathing. She ended up in the hospital with pneumonia on numerous occasions because of the living conditions. Born and raised in Portland, Laurie and her sisters talk fondly about the “good old days,” when they walked from their home on Munjoy Hill to school and sock hops… They remember a Portland from a time when they would walk from one end of town to the other for visits with friends and family. Laurie graduated from Portland High School in 1976 and then entered the working world where she filled numerous positions – cleaning person, office manager, and wellness nurse – to name a few. She proudly recollects the work she did and the people she helped over the years. An independent and hard-working woman, Laurie was able to support herself throughout her life. It wasn’t until her health challenges prevented her from working that living safely and affordably became a significant and life-threatening problem for her. Laurie’s first day as a Ridgewood resident. In the spring, Laurie’s living situation became desperate and she came to Avesta Housing for help. Unfortunately, like so many others, Laurie was told that there were no vacancies and that her name would be added to the wait list. With high demand for affordable housing throughout southern Maine, Laurie knew it could take years for an apartment to become available. Then one day in July, Laurie and her sister were driving down Cumberland Avenue in Portland. They were stopped at the red light in front of Avesta’s main office when Laurie received a call from Avesta Property Manager Krissie Bodkin-Rubino. Krissie called Laurie to inform her that an apartment was available in the new building at Ridgewood at Village Square. Laurie explains that she couldn’t stop crying and kept asking Krissie if “this is real.” It all seemed too good to be true. As Laurie and her sisters take turns telling Laurie’s story, I can’t help but cheer on the inside as she reaches the “happily ever after” part. Her brand new apartment. One sister explains, “My sister has never had brand new. Never. But no matter where she lives, she makes it ‘new,’ because she works hard to clean it up and make it nice.” But finally, she doesn’t have to do all the heavy lifting. The construction of Ridgewood was completed in June. The paint still smells new, the floors are shiny, and all the furniture in the brightly lit community room is pristine. 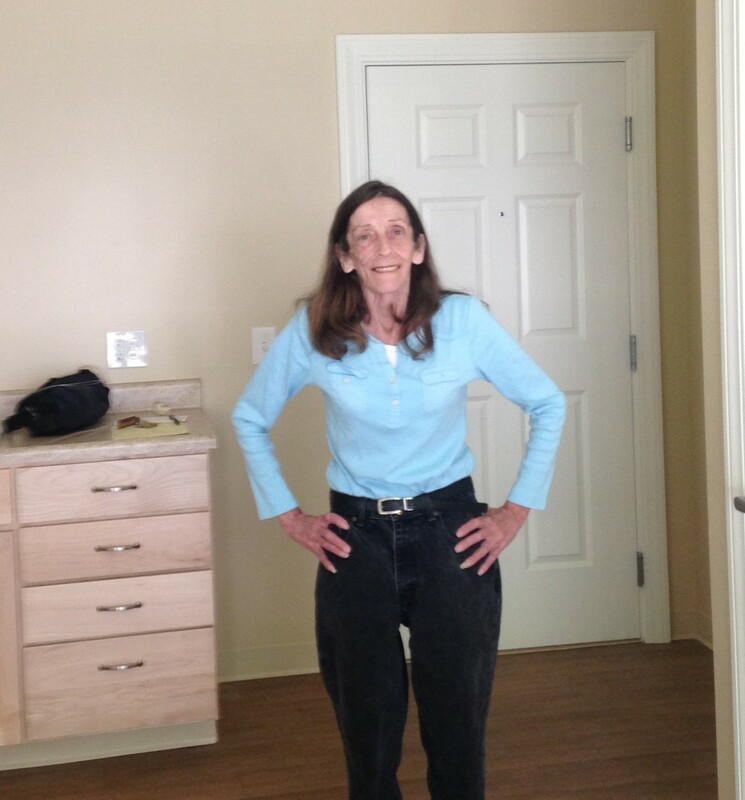 Her first floor apartment is located close to the front door and community room, so despite her limited mobility, she can socialize with her neighbors or step outside for some fresh air. And the best is yet to come. Avesta Housing has partnered with MaineHealth to bring enhanced healthcare to residents in Laurie’s Village Square community. In this pilot program, a community health nurse employed by MaineHealth visits Village Square monthly to provide onsite access to basic healthcare education, consultation, and care. Additionally, Ridgewood has a private wellness room with telehealth technology. An expanded program building on the nursing pilot to provide more comprehensive care for patients identified as high risk is anticipated to launch in October. Laurie looks forward to engaging in these healthcare services to increase her access to healthcare and improve her health. In the meantime, Laurie gives me a relieved smile and assures me, “I’m ok here. I’m safe.” Welcome home, Laurie. Join Laurie and other Ridgewood residents at a grand opening event to celebrate the new senior affordable housing with a focus on healthcare. The event is open to the public and will take place on Thursday, October 20 from 10:00am-12:00pm. The address is 8 Millett Drive, Gorham, Maine. Buses are rumbling down the streets and school bells are ringing. It’s official… back to school for kids all over Maine and New Hampshire this week! As they don their backpacks and lace up their sneakers, we wish everyone a great school year filled with fun and learning. Students: expand your knowledge, make new friends, try new things, and be the best you you can be. Teachers: Thanks for all you do every day to support your students. And to the nearly 500 school-age children who live in Avesta Housing communities: we’re rooting for you! Avesta Resident Service Coordinator Nick Kjeldgaard catches up with Yohanita before she starts fourth grade. 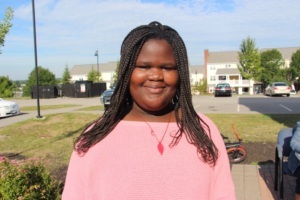 Ariane, 7th grade: I love school because it gives me new opportunities to learn. I love doing new science experiments, playing flute, and singing in the choir. 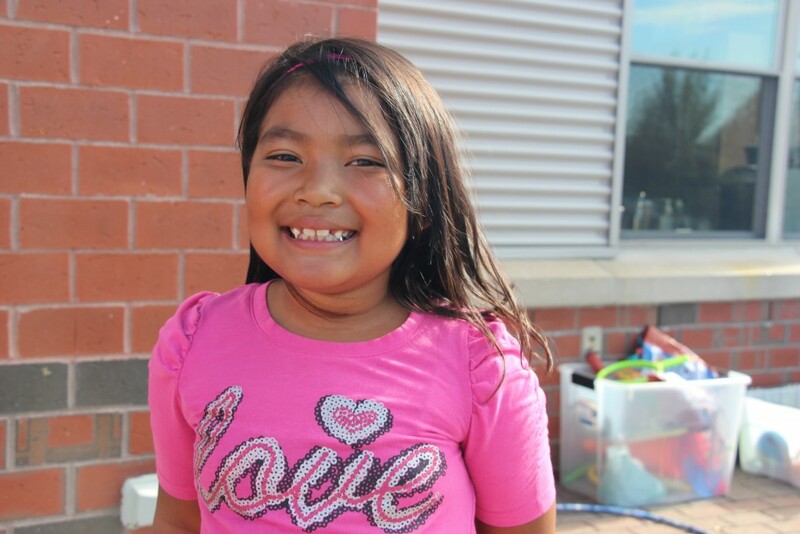 Yohanita, 4th grade: I like hanging out with my teacher and learning math. I want to learn more about science and math so I can be a great student. 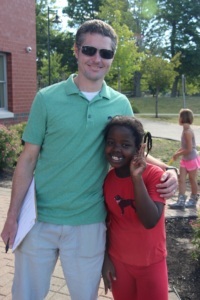 Gwen, 1st grade: I like going outside for recess and playing on the playground. We get to go to the art room every Wednesday, and I love to paint! So whether you are hopping on a bus, driving, walking, or bicycling your way there, have a great school year! First grader Gwen loves recess and art! Ariane loves science and can’t wait to perform in band and choir. 1. Look through your belongings and get rid of anything you have not used or worn in the past two years, because chances are you will not need it in the future. This is a great time to donate your items to a local shelter or second-hand store. This is also a great time to go through your cupboards and throw out any old spices and canned/packaged food that have expired. Get rid of any furniture that may not fit in your new place. 2. Pack a box of essential items that you will need immediately when you move into your new place (important paperwork, phone numbers to local utility companies, a few cooking utensils, and dishes). Pack one room at a time and clearly mark these boxes. Pack the kitchen and bathroom last as these are the rooms and items you will be utilizing until the day you move. 3. Change your address at the post office, doctors’ offices, utility companies, schools, places of employment, the bank, pharmacy, and any other companies you do business with. 4. Meet with your new landlord to walk through the apartment. Take measurements and have a plan of where you want furniture to go. Look over your lease carefully and take your time to review it with the landlord. Have the landlord do a pre-inspection of the apartment with you and write down anything that needs to be fixed or changed before you start moving in. 5. Have movers or friends and family lined up to help you the day you move. Assign people jobs (last minute packing, carrying heavy items, driving the vehicles, someone to entertain the kids etc.). Have someone picking up food/coffee for your volunteers! It’s a great way to repay them and keep them motivated. Lastly remember to take your time unpacking and decorating. This is your new home and you want to feel comfortable and relaxed when you walk through the door. Welcome home! 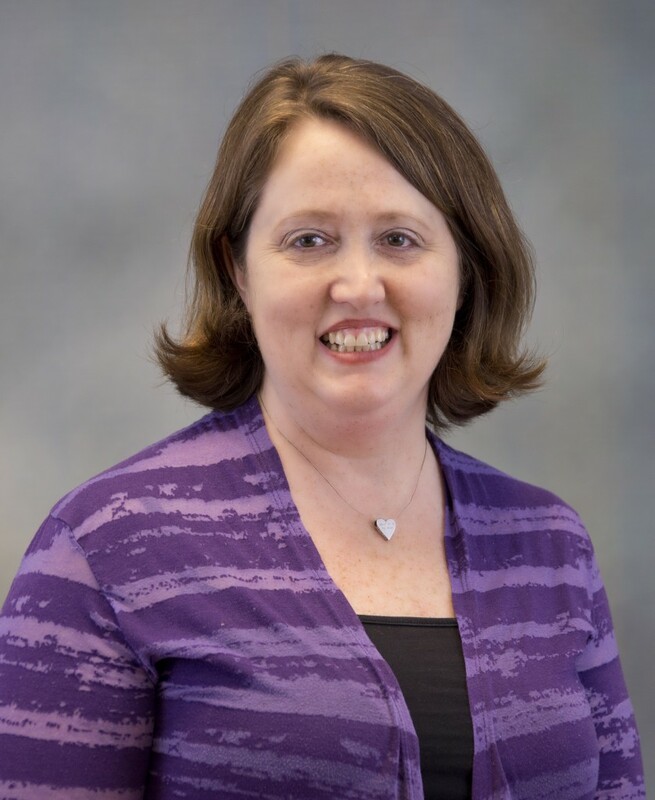 Krissie Bodkin-Rubino is a Property Manager at Avesta Housing. 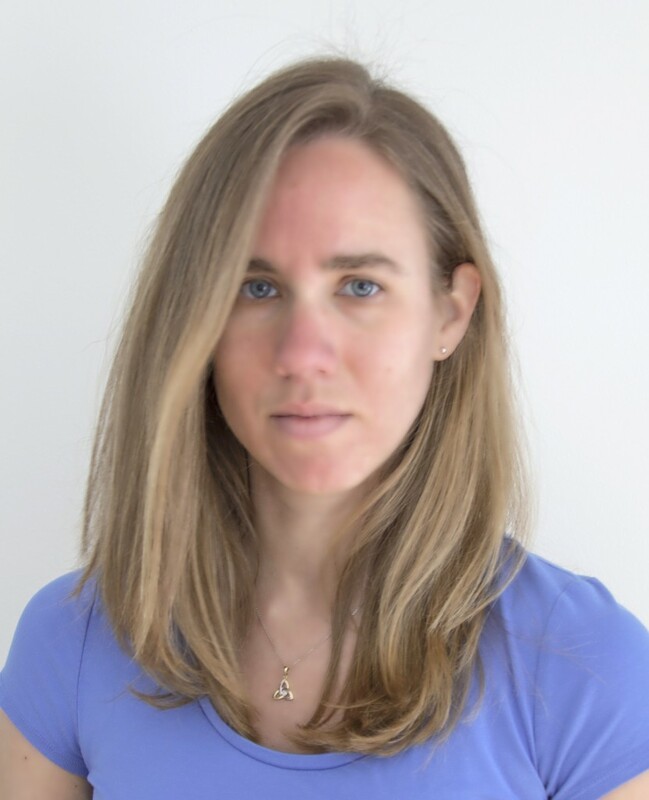 She has a degree in social work with a focus on human services and mental health. As an IT professional, I deal with a lot of technical issues on a daily basis. Things go wrong for a myriad of reasons and there are any number of possible solutions, but there are definitely a few tips you can follow to avoid landing at your IT person’s desk. Here are 7 tips anyone can use to become a better IT user at work and home. More problems stem from Internet-related baggage than anything else. Going to unsecured websites, opening email that is from someone you don’t know, or clicking on links and ads that appear on webpages can all download harmful software to your computer. Being mindful of the places you go digitally can help keep you from accidentally downloading something that you don’t want. A lot of times this software just causes more ads and pop-ups on your computer, but sometimes it can be very devastating. Malicious software can capture information that you send out through the Internet, including bank and/or credit card information. The website where you shared personal information may be secure, but the software hidden on your computer may have bigger plans. I know! It seems impossible to avoid, but saving your passwords (digitally or in written form) is just as bad as not having a password. Better yet, you should be changing passwords regularly to ensure security. Saving your passwords can open access to your personal and financial information online. Just as bad as saving passwords is keeping easy-to-guess passwords. Using your name, or the name of a family member, or an important date in your life can all be easy to guess for someone that knows even the slightest bit about you. Be creative! This advice is as old as computers, but people still forget. When things go wrong, the first thing you should do is restart your computer. Restarting stops programs that are running, including the ones running in the background, and resets everything that has been changed but not saved. Restarting can resolve many problems, and it saves a lot of troubleshooting time. If restarting doesn’t resolve your issue, go to Google. Type in what your device is doing (or not doing) and see what the results are. I’ll let you in on a secret… IT professionals don’t always know the answers right away, but they know Google does. It’s shocking how many people I know that don’t run updates on their devices. Whether it be your computer, tablet, or smartphone, all software will release updates at some point. Running updates regularly can fix so many issues, and keep you from getting new issues in the future. That’s right: experiment. This sounds scary at first, and things can certainly go wrong, but the easiest way to learn how something works or what something does is to try it. Don’t worry – your IT person can probably tell you what went wrong, why it went wrong, and how to accomplish what you were hoping for in the first place. It’s a great way to expand your tech knowledge. One time I was helping a colleague with his computer screen which had “mysteriously” blanked out. An hour after troubleshooting every possible cause, he confessed he spilled a whole glass of water down the front of it. Had I known that from the start, I could have had a brand new screen up and running in less than an hour and not wasted so much time. Bad call. If you do need assistance from an IT professional, just tell him or her exactly what the problem is. Trust me, they’ve seen it all. If you haven’t figured it out yet, let me tell you an important technology tip for the workplace – be extra nice to your technology support staff! They’re a busy crew in any size organization, but they can drop everything and save your day when you least expect and most need it. A smile and a thank you will go a long way! 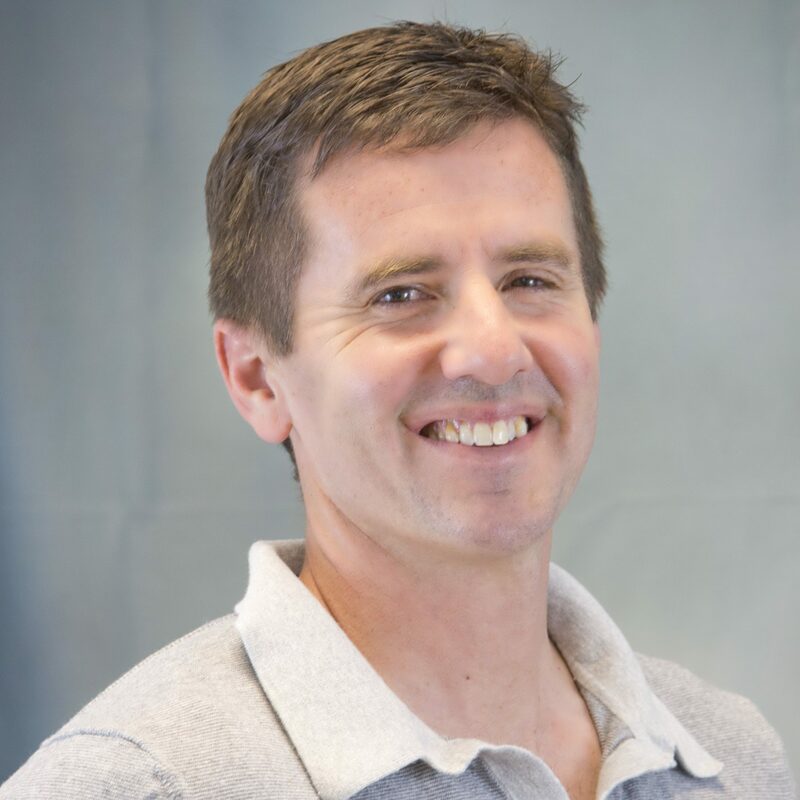 Roger Redin is the Technology Support Specialist at Avesta Housing. 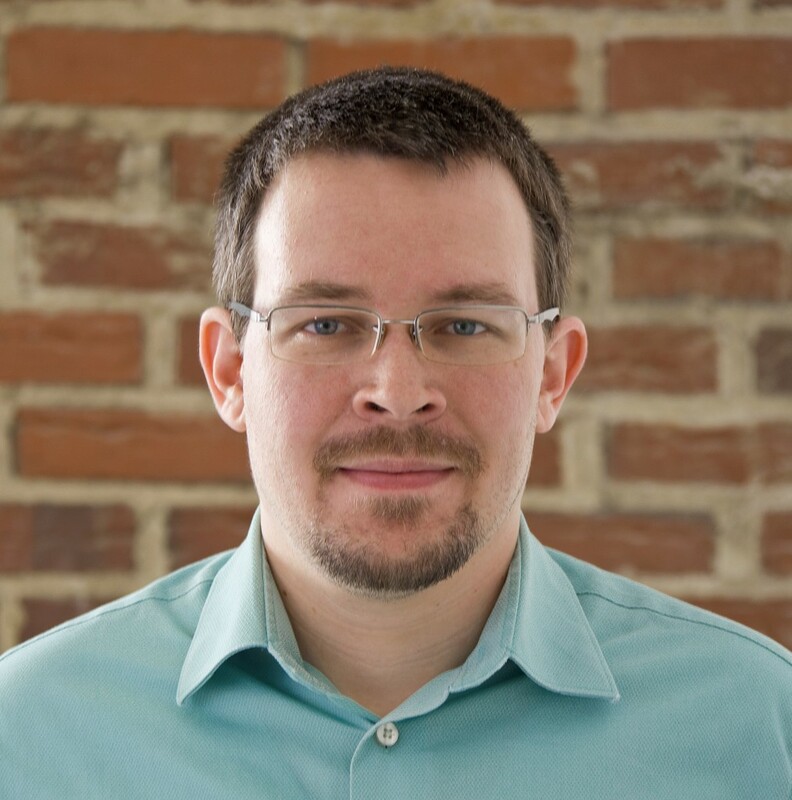 He also teaches technology classes at Bath Adult Education. Roger has been in the IT field for 13+ years. Do your homework. Understand the job you’re applying for and what the company wants. Do some research on who they are: what are their core values? Do they have a mission statement? This will help you tailor your responses to the company and help convince them that you’re the best candidate for the job. Dress for the job. Make every attempt to look as presentable as possible. This doesn’t necessarily mean you need to show up wearing a suit and tie, but do dress for the job. For more service-oriented or production positions, for example, a suit may not be your best option. For professional or office positions, go dressier. Jeans are typically a little too casual for any interview – try khakis instead. Avoid short skirts and tank tops altogether. Be nice to the receptionist. Best case, this person is going to be your new coworker – don’t start out on the wrong foot. Realistically, the chances are the interviewer is going to find out how your interaction with the receptionist went and this could impact your chances of getting the job. It’s ok to be nervous. Most interviewees are, and recruiters understand that. In this case, honesty can be your best option: let the interviewers know that you’re nervous. From a recruiter’s standpoint, it can be better to have someone who is nervous than someone who is cocky. Try to relax and engage in the interview! Sell yourself. Your resume got you in the door, but now you need to convince them that you’re the best person for the job. Be confident. You know you can do the job. Try giving examples when you answer questions: this will tell the interviewers more about you and your abilities than just a yes or no answer. For example, if they ask, “How do you deal with difficult customers,” tell them about a particularly challenging situation that you handled well (don’t get too caught up in the details – they just want to hear how you dealt with it successfully). Be prepared with questions. Most interviews end with, “Do you have any questions for us?” The recruiter wants to know if you have thought about the job and are engaged – this is your opportunity to show that you are. While you might think of additional questions during the interview, it’s always best to come prepared with some just in case. Even generic questions like, “What do you like best about working here?” or “What would you say are the top three characteristics one needs to succeed in this job?” show that you are interested. That said, be wary of wording. Instead of asking, “What will I be doing?,” try asking, “What does a typical day/week/month look like for this position?” Some recruiters don’t mind if you ask about pay, but definitely don’t make that your first (or worse, only) question. It’s your interview too. This is your chance to get to know your boss before you start working there. Find out if s/he is someone you can actually work with, or if his/her supervisory style will drive you crazy (another potential question to ask, “How would your direct reports describe your supervisory style?”). You could find out that the position has extremely high turnover and they typically have to hire new people every month – are you going to be able to work in an environment like that? An interview where they don’t even allow you to ask questions could be a red flag, for example: it could mean that they really don’t care what you think. Take this opportunity to figure out if you actually want the job, or if you could actually see yourself working there. This is where those questions are essential! Finally, keep in mind: the people interviewing you all sat in that same seat at one point. They’re human too, and they probably dislike interviewing for new jobs just as much as you. In the end, the interview is just a conversation you are having to find out more about each other. Take this opportunity to put your best foot forward and land the job you deserve! Alexandria Chase is the Human Resources Specialist for Avesta Housing, and has over 10 years of experience in recruiting and human resources. 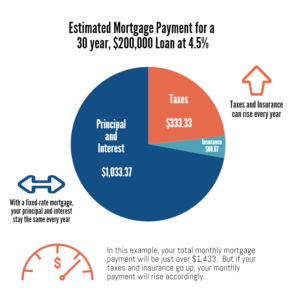 Your monthly mortgage payment includes more than just the principal and interest on your loan. It also includes money that goes into an escrow account that pays your property taxes and homeowners insurance. It is completely normal for your mortgage payment to go up a little bit every year as property taxes increase. Some of the increase that you’re seeing on your 2016 mortgage payments is simply your mortgage company anticipating that your taxes will rise, and trying to adjust your payment to make sure that your escrow account will have the funds to pay the taxes. For the sake of explanation, let’s say that you paid $3,000 a year in property taxes in 2014, and that you’re mortgage company assumed that you’d pay $3,400 in 2015. 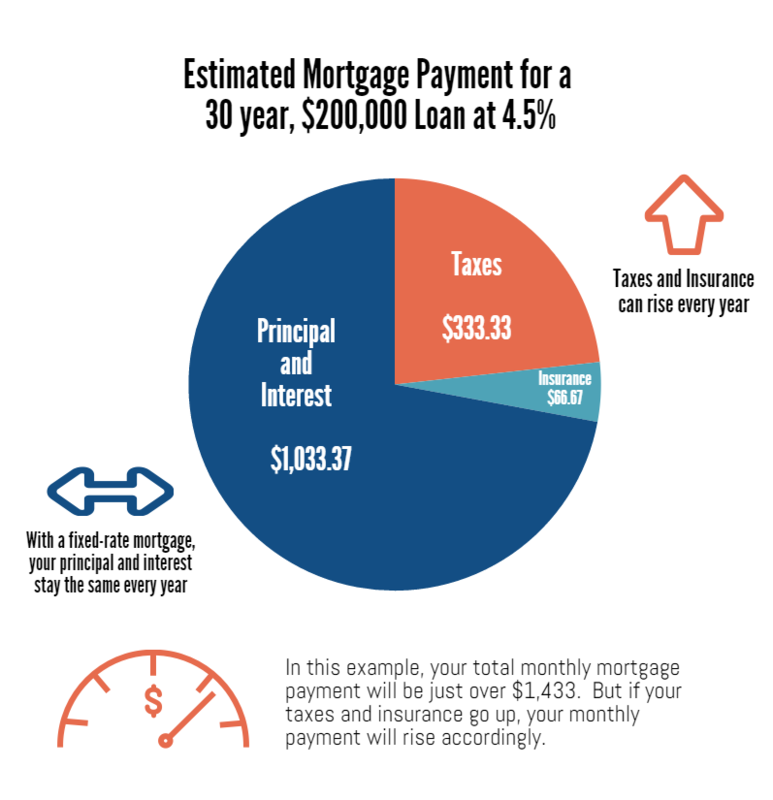 This would increase your mortgage payment by $33.33 a month in 2015. But what if you mortgage company underestimated the amount that you had to pay? Let’s say that you actually had to pay $3,900 in 2015, so you actually should have been paying $75 a month more. 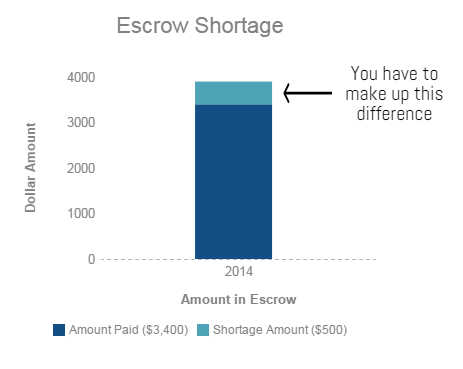 Now that 2015 is over, you’ve underpaid $41.67 per month for 12 months, leaving your escrow account $500 short. Obviously, you still need to pay this money. Your mortgage company with give you the option to pay it all as one lump sum, or to spread the amount over your 12 payments in 2016, causing your mortgage payments for 2016 to rise $41.67 in addition to whatever the regularly yearly rise will be. 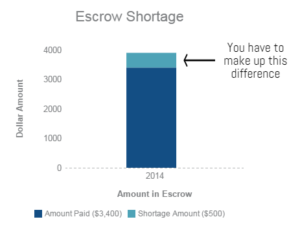 The combination of making up the shortage and adding in the estimated increase for 2016 could potentially add up to quite a bit of money for some homeowners. 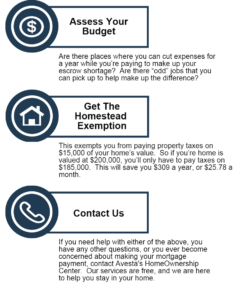 It’s important that you know that Avesta’s HomeOwnership Center can help you figure out how to make ends meet with your increased housing costs. We can help you come up with a plan to get through the next year of higher payments. We also know about money saving tips, like the Homestead Exemption and energy saving ideas that can help decrease your monthly costs. The Avesta NeighborWorks HomeOwnership Center (HOC) is partnering with Avesta Housing communities to offer free financial counseling and education to residents. 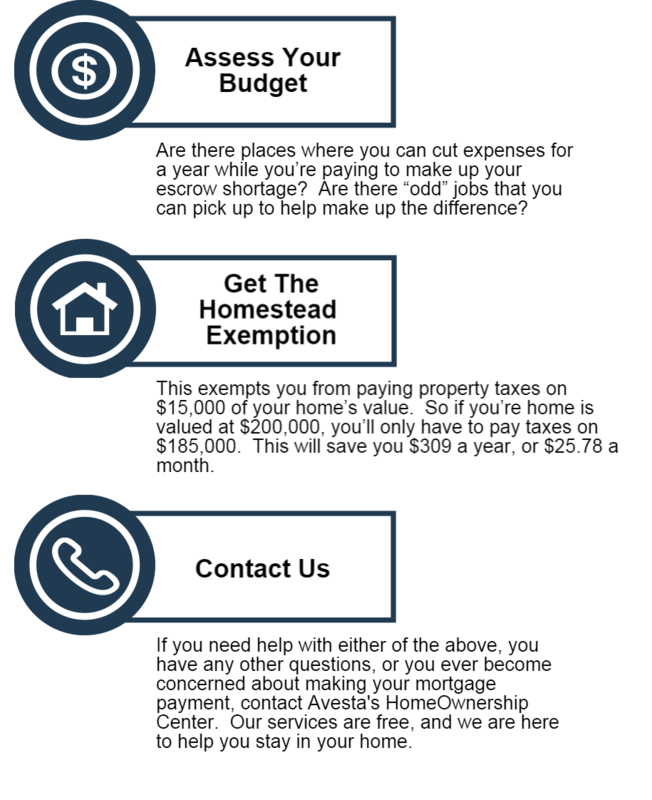 The HOC is excited to help Avesta residents meet their financial goals! In these financial counseling sessions, affordable-housing residents learn about how to build a strong credit score. The goal of our resident seminar is to demystify how credit works and empower residents with the knowledge they need to feel in control of their credit. The HOC’s credit-counseling clients often say that they are “afraid” to look at their report because they don’t want to face a bad score. This fear stems from the fact that people don’t understand how credit works and aren’t aware how simple changes can increase their score. For example, many people don’t realize that closing old cards you don’t use anymore can decrease the length of your credit history and pull your score down. It’s also important to realize the balances that you carry on your cards are almost as important as whether you pay your bills on time! Instead of paying off cards one at a time, a better strategy might be to pay down all the cards at once until they’re all under 30% of their limit. Simply understanding how credit works can make people feel much more confident moving forward. This financial counseling seminar helps people face their credit fears and understand how credit works, with the goal that every one leaves class with realistic strategies to improve their financial well-being. 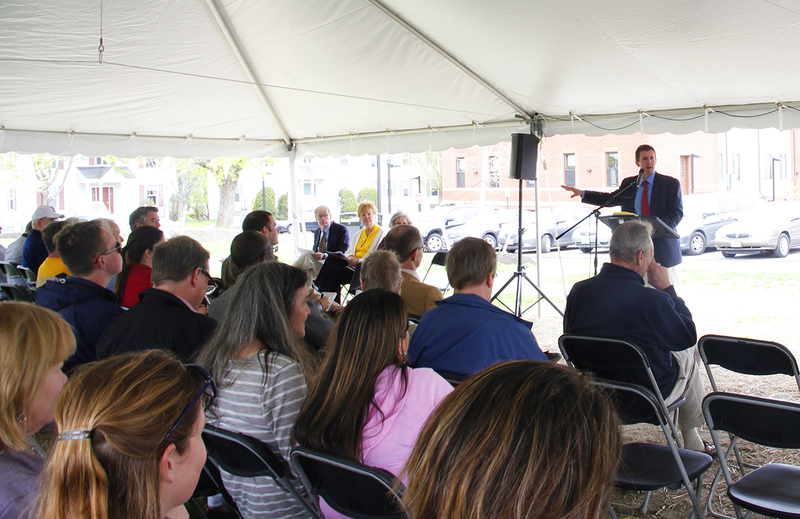 On May 16, we celebrated the grand opening of Hyacinth Place, a 37-apartment community on Walker Street in one of Westbrook’s historic neighborhoods. While the first residents began moving in back in September, we waited to hold a celebration until the apartments were full and the weather more agreeable. Hyacinth Place is a unique community for a few reasons — one of which is that it’s a combination of historic renovation and new construction. Along with Developers Collaborative, we turned the former St. Hyacinth Catholic school and convent buildings into affordable apartments. We rounded out the property with a new building that includes a community space for residents to relax and gather. Seeing these vacant, deteriorating landmarks restored to their former glory and preserved for future generations was really rewarding, and the news residents love their historic features. The redevelopment of this site also included giving some serious love to the adjacent green space, which we’ve dubbed Walker Field. This previously underutilized space now has a jogging path, benches, new swings, picnic tables and soccer goals. We’re hopeful that the space will be used for Little League games as well as community gardens. This space is now much more welcoming to the more than 100 families living in the neighborhood, and on any given day you’ll see people walking their dogs, older kids playing soccer, and younger kids tumbling in the grass. On Friday, this field was the site of our grand opening event. We wanted to make it a fun neighborhood party, so we had a popcorn machine, an ice cream sundae bar (with ice cream and fixings made by Westbrook’s own Catbird Creamery) and a visit from the Westbrook Fire-Rescue Department’s Engine 4. Attendees got to tour the new building and the renovated historic buildings. Many guests had connections to St. Hyacinth, whether they went to school there or even taught there, and they were eager to see inside these buildings once again. Westbrook Mayor Colleen Hilton told the crowd that the redevelopment of the site was just what the neighborhood needed, especially with the housing need in the community, and that “to see this type of life happening here is really refreshing.” The city will also receive nearly $50,000 a year in new property taxes. And new Hyacinth resident Monique Rodrigue talked about her excitement at finding Hyacinth Place on the Internet when she was searching for a new home for her and her husband. She loves that her new community has provided her with an opportunity to give back — she volunteers her time tutoring children and even their parents who want to improve their English language skills. I’ll share more about Monique in a later post. It was a great event, and just one piece of Avesta’s continued commitment to revitalizing the neighborhood. Later this year, we’ll embark on a $3.2 million renovation of the 73 apartments that make up Steeple Square on Walker and Webb streets. To see more photos from the event, check out our Facebook page. And for more on Hyacinth Place, including its history and the construction, check out our website. Update: The artwork created through this partnership will be featured as part of Portland’s First Friday Art Walk on Feb. 7 at Oak Street Lofts! Bayside East residents will be at Oak Street Lofts to share the special objects that inspired the artwork created by the students. We hope to see you at 72 Oak Street from 5-8 p.m.! Behind each piece of artwork hanging in the community room at Bayside East is a story. There’s the story of the treasures brought home by a young man stationed overseas, or the story of a cultural tradition transplanted in a new community. And there’s the simple story of preserving a community’s history through newspaper clippings. Looking at the 11 prints on the walls, the stories might not be apparent. But for the residents of the Portland senior community, the artwork represents memories of cherished items collected over the years, as seen through the eyes of local art students. 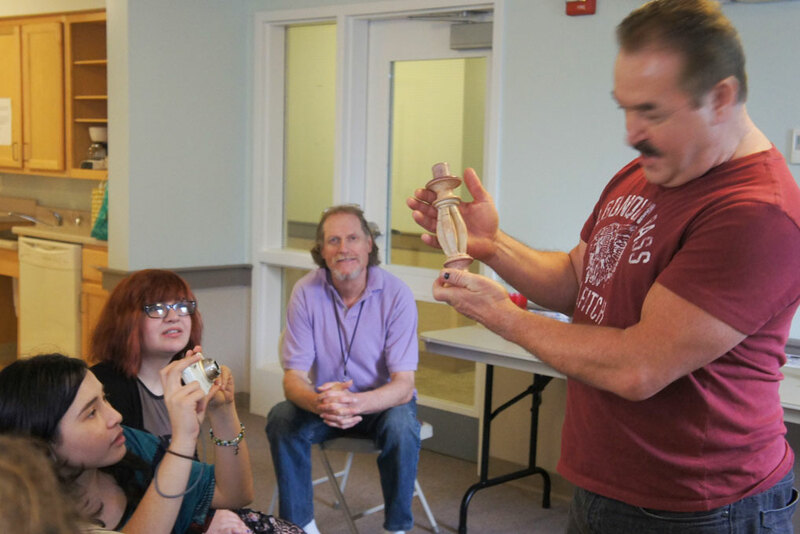 From September to December, a class of Maine College of Art students spent several hours talking with a group of residents of Bayside East and seeing first-hand the objects that hold special meaning for them. Residents brought odds and ends gathered over the years, like collections of old newspaper clippings, gifts given to them by loved ones, and even colorful traditional African clothing made by hand. Through stories and questions, the students learned why these objects were so important to their owners. Then, they created original prints using the objects and stories as influence. 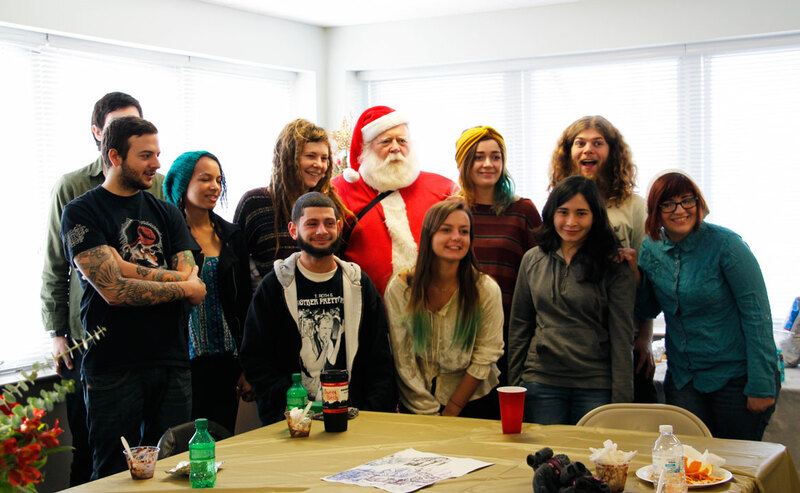 The semester-long project wrapped up in December with a potluck party at the property. The students unveiled their art to the residents and talked about their process. Each student made multiple prints so that the residents could also hang one in their apartment. One of the residents, Bill, had showed students a geisha doll he’s had for over four decades, purchased overseas when he was serving in the Navy. 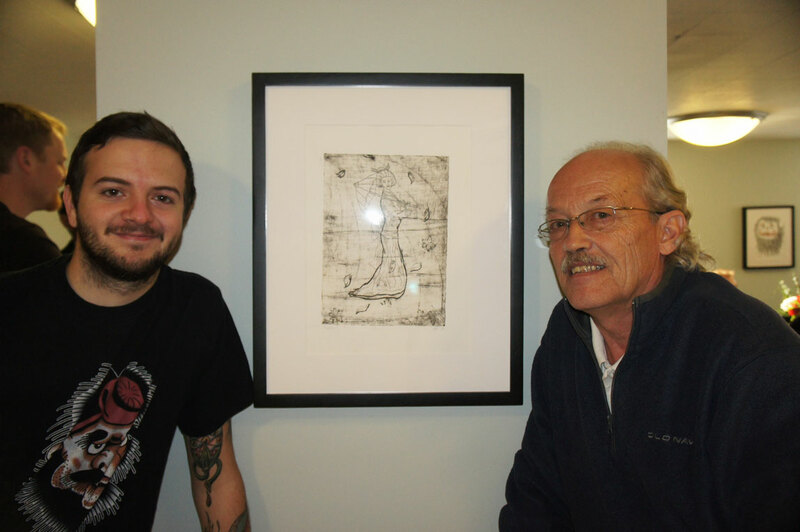 The doll became a source of inspiration for one student, who made a black-and-white print of its likeness that now hangs in the community room kitchen. “My 45-year-old gal – it’s nice to see her out,” said Bill. This partnership is just one way Avesta has been exploring community partnerships to help enhance our residents’ sense of home through art. The importance of art goes beyond aesthetics – it’s a vital part of creating a sense of community and making our residents feel at home. Partnerships with other organizations also strengthen relationships between our residents and members of the larger community, creating connections that can have a lasting impact. The residents visited the students in their studio to see first-hand how printmaking is done. They also got a personalized tour of the college’s facilities on Congress Street, which was especially meaningful for one resident, who used to work in the building back when it was the Porteous department store. Kate, a student, said they were all initially nervous about leaving the classroom and “stepping out of our comfort zone,” but those feelings quickly dissipated as they spent more time with the residents. “We had a really fun time, they were interested people we wouldn’t normally interact with,” she said. “They were fun to talk with – they always had something interesting to say. “Every time you have students get out somewhere else, it’s beneficial to your art,” she added. The connection that developed between the residents and the students was great to see, and I’d like to thank Professor Pilar Nadal and her students for enhancing the lives of our residents through art. And a big thank-you to Bill, Phil, Doug, Rod and the other residents who participated in this project and shared their time, energy and hospitality. Avesta looks forward to working with the Maine College of Art to repeat the program with another group of residents next fall. * Thank you to Pilar and her students for providing some of the photos for this blog post.